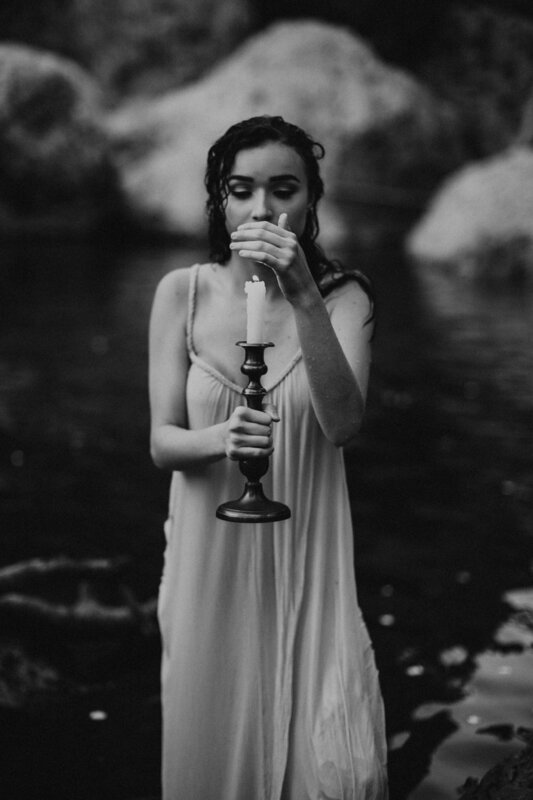 This shoot was inspired by the character Ophelia from the Shakespearean Play "Hamlet". We want to encourage and inspire the ethereal feel that exudes from a bride on her wedding day. 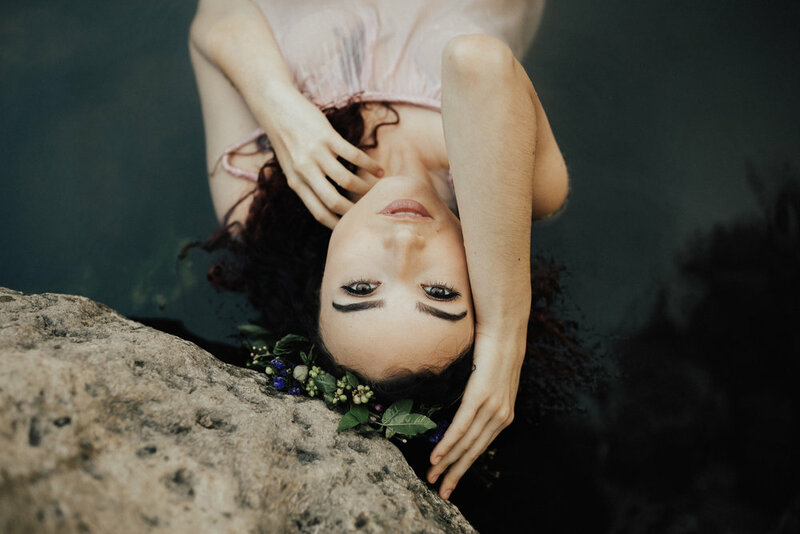 We felt This quote from The Lumineer's song "Ophelia" fit the inspiration: "oh ophelia you've been on my mind girl since the flood, OH OPHELIA heaven help a fool who falls in love". Special thanks to Poppy Hill Flowers for the beautiful bouquet, anklet and floral crown and Myranda Gibson for being such such a super model.